● PTC ceramic: fast heating. 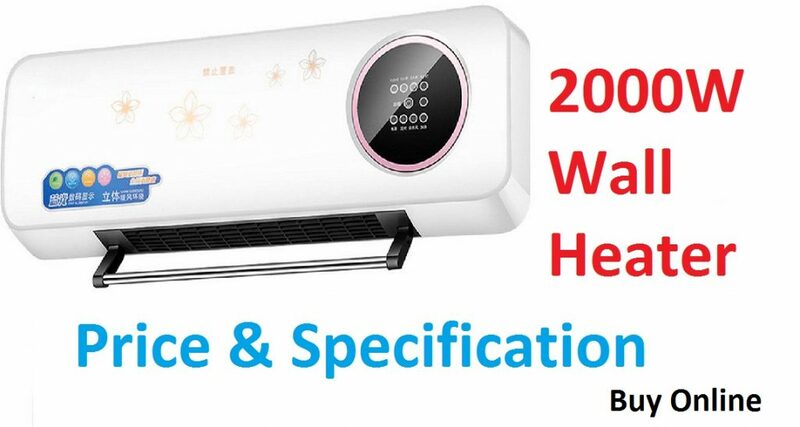 ● Automatic constant temperature: warm and comfortable heating and energy saving. ● Dual purpose of Wall hanging and table type. ● Safe and high temperature resistant air outlet: strong airflow. 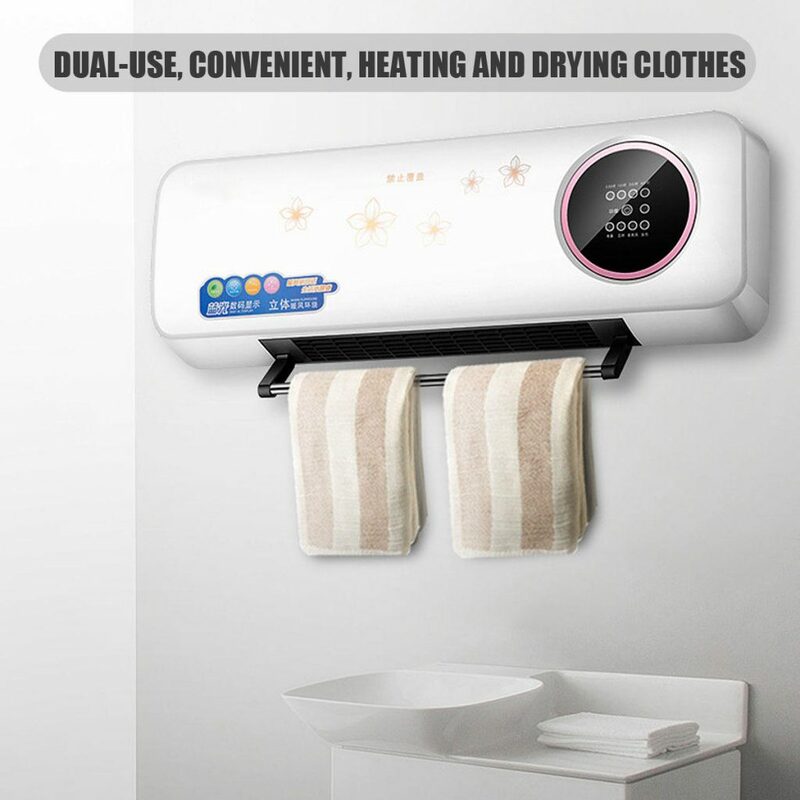 ● Detachable drying rack for quick drying of clothes, towels, socks, etc. ● Low noise and does not affect sleep. ● Waterproof, safer for home use. 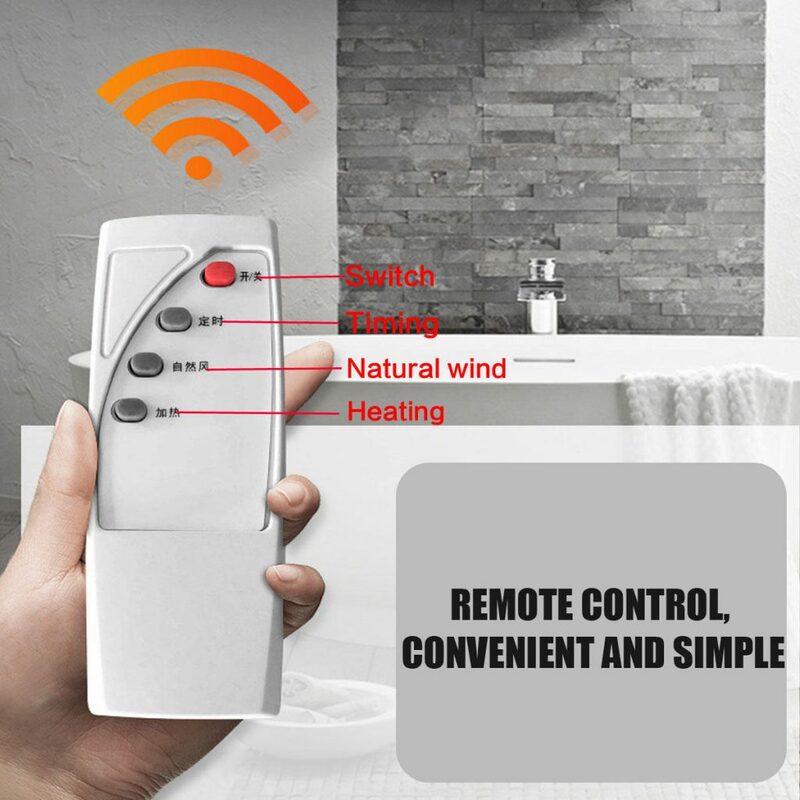 ● Remote control and it is easy to adjust.